Now that Thanksgiving is over, I feel like I can officially welcome the Christmas spirit and all that holiday joy, happiness and…quite frankly madness…that comes along for the ride during this most festive time of year! The tree is up, there’s a chill in the air and I’ve even started my shopping…let the Christmas fun begin! What mom’s like us really need this time of year is a game plan, a holiday bucket list, if you will. St. Louis is full of so many great things to do with the kiddos,you don’t want to miss any of it! 1) See a great light display! 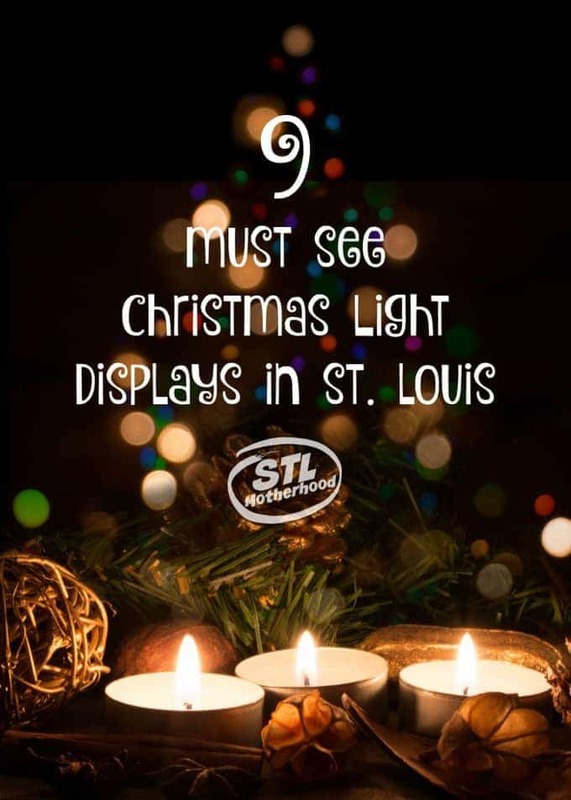 We’ve got NINE really good public displays in St. Louis, from the Anheuser-Busch Brewery Holiday Lights to the O’Fallon light show in Fort Zumwalt Park. Some of these are even free! 2) Take a good holiday photo of both my boys…together! I gave up on Santa pictures with both kids once Ryan got taller than Santa…the last decent photo of them together at Christmas is from 2010. (I have plenty of candids, but nothing posed.) I wonder how much you have to bribe a teenager to stand NEAR Santa? 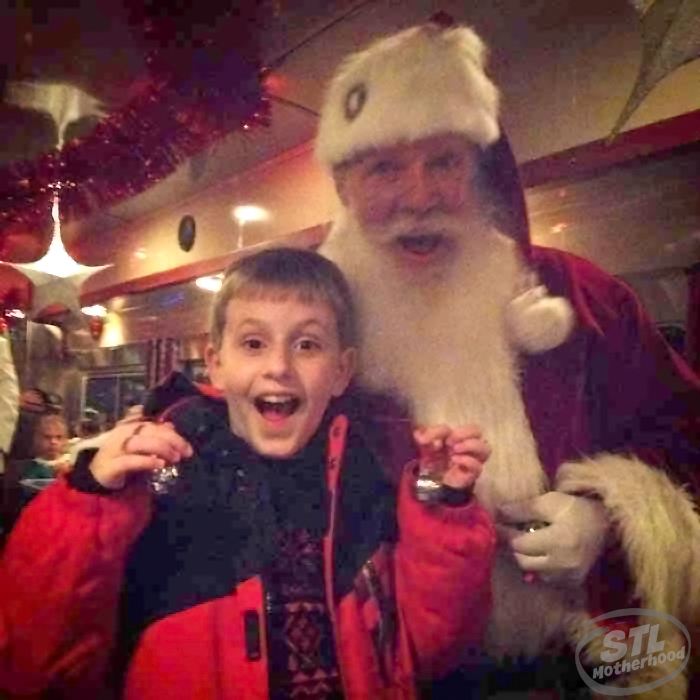 3) Visit Santa! 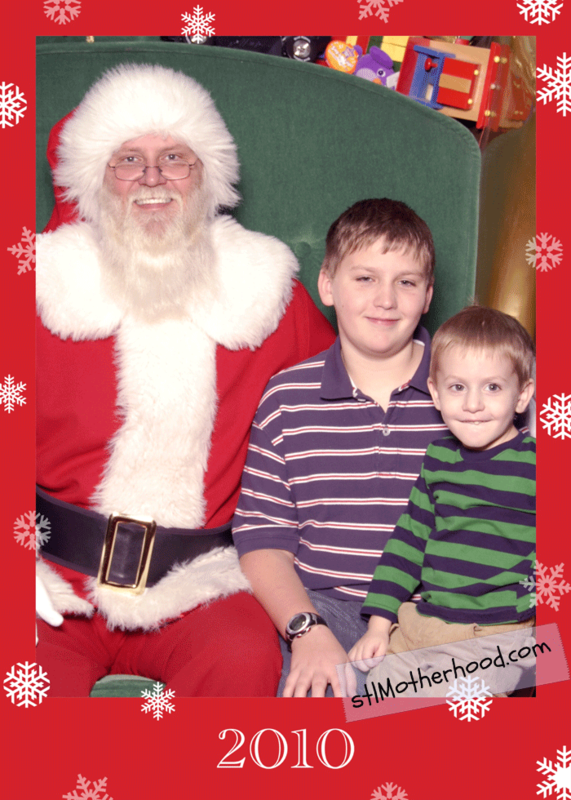 Ryan might be off the hook for a Santa photo, but Mitch is still little enough to at least pretend to still believe. Last year we got a candid with Santa while riding the Polar Express, but this year we got a good sit down photo with the Jolly Elf while going through the North Pole Village at Union Station. Check THAT one off the list! 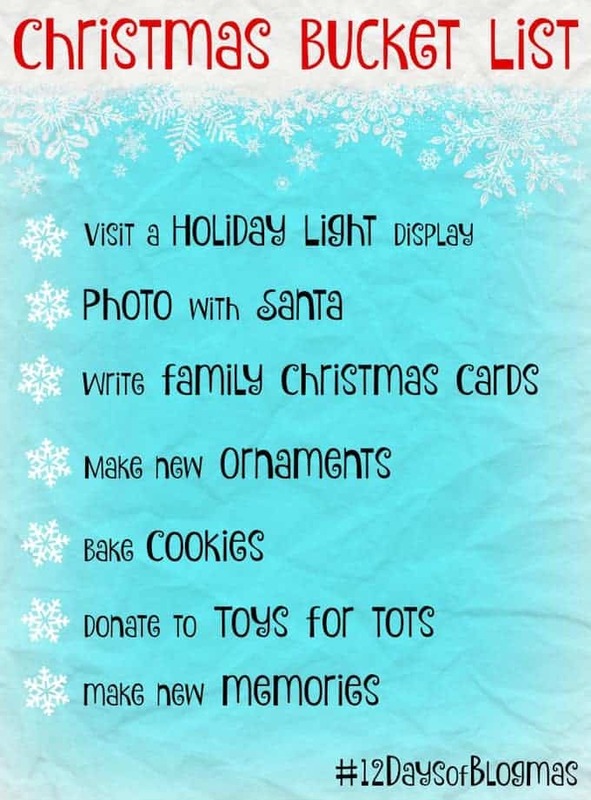 4) Send out Christmas Cards! And not just the ones I sign for my hubbie’s clients. 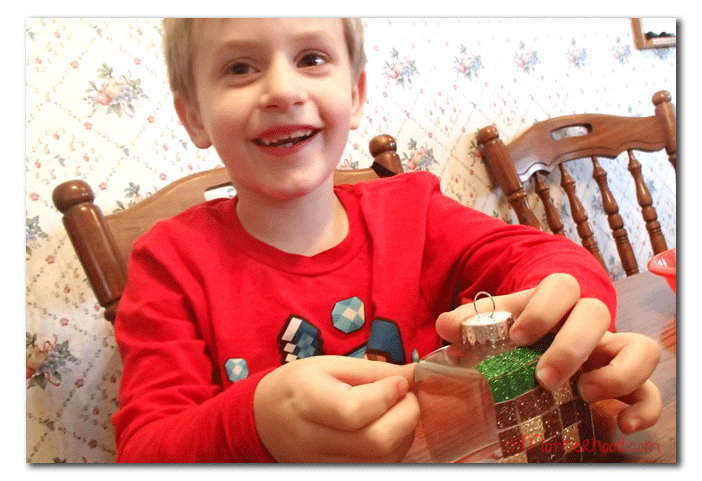 5) Make some ornaments! Mitch and I have had a lot of fun making Minecraft ornaments. I think we’re going to make some Shrinky Dink ones this year! 6) Bake Christmas Cookies! Last year I did a big Cookie Exchange and that was pretty fun! We’ll have to bake some more…right after we eat all that candy from Bissinger. 7) Donate to Toys for Tots! Donating to Toys for Tots is always fun, since you can usually find a nice bunch of handsome Marines at radio station sponsored toy drives this time of year. 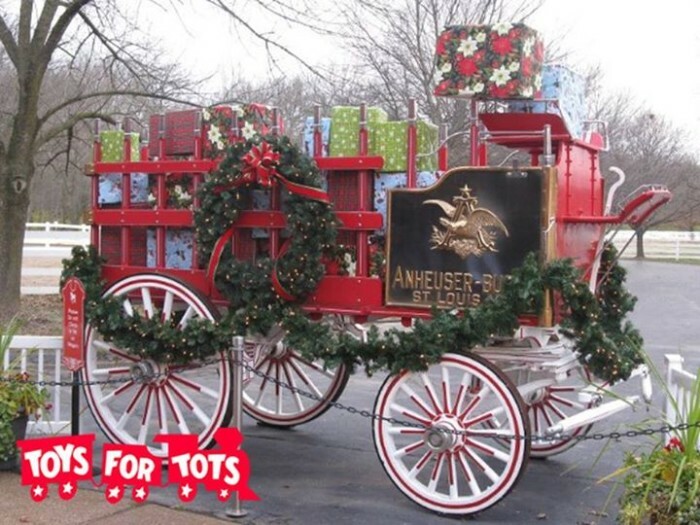 Last year donated our toys to a Marine AND a Clydesdale at Grant’s Farm’s Toys for Tots drive. They brought out the hitch, let us take selfies with the horses, and served beer right from the wagon. They’re doing it again on December 17, 2016!